The weekly story times have resumed on Wednesday at 10:30am for the pre-school children and on Monday at 10:30am for the Babies and Toddlers. There will be a special treat this year on the second Wednesdays of each month. Wendy Pond from Classic Paws Inc., will attend the pre-school story time with a reading dog. For more information, please call the library at 655-4283. Mondays, from 10:30am to 11:30am, the Children’s Room hosts a Baby/Toddler Playtime with Lisa Davison, youth services assistant. This is a special, informal gathering where babies and toddlers can share library books and toys, and parents can meet other parents. The Children’s Room will be set up with books, interactive toys, puzzles, a playhouse and crawl-through tubes. Registration is not required, so please join us for a wonderful, fun time with your youngster every Monday at 10:30. For more information, call the library at 655-4283. Wednesdays, at 10:30am, the Raymond Village Library hosts Storytime for children ages 3-5 with Lisa Davison, youth services assistant. It is a special time for stories, games, music and crafts. 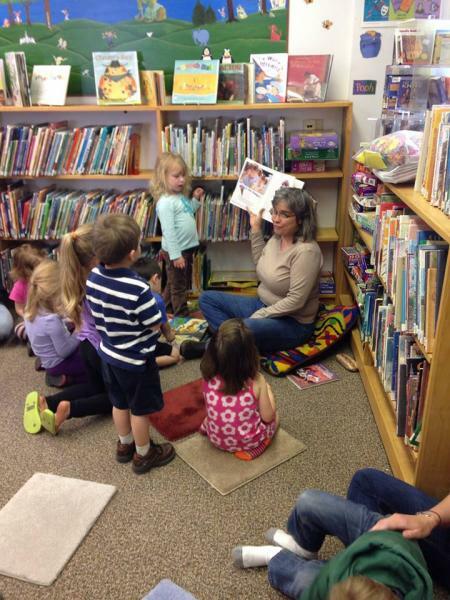 Look for pictures and updates on the Raymond Village Library Facebook page.